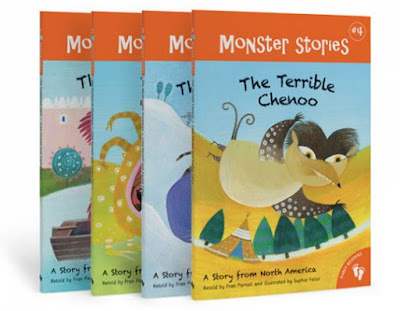 All Aboard the Bookshelf: Monsters on Sale! Just in time for Halloween, Barefoot Books is offering their Monster Stories series for a special price if you buy all four books in the series - $27.99 for all four books! These paperback chapter books with colorful folktales from different cultures are geared for independent readers ages 6 to 11. See below for more information about each book. 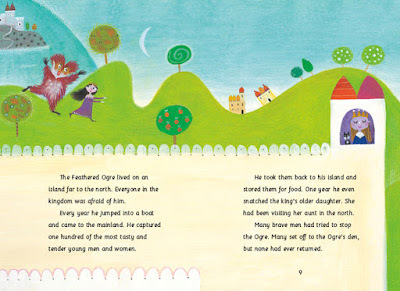 The Feathered Ogre is a story from Italy. Can Pirolo, the king's gardener, steal a magic feather from the back of the feathered ogre who eats boys and girls for supper? The Mother of Monsters is a story from South Africa. 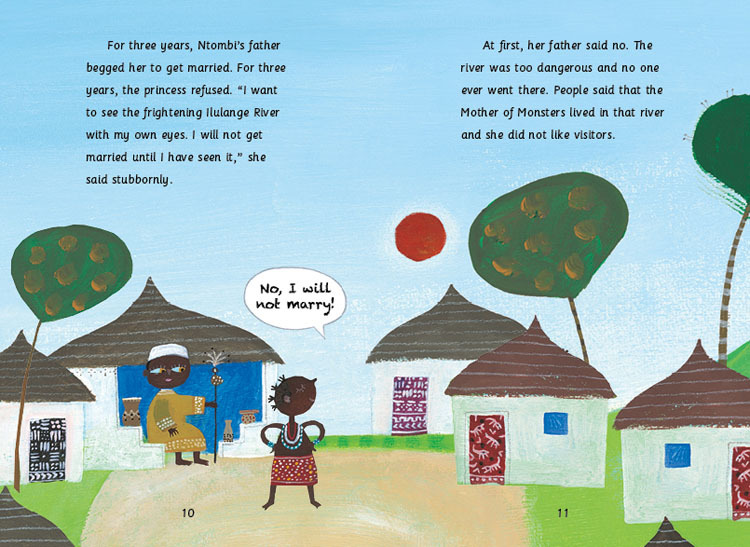 Mischievous Ntombi is the Chief’s daughter, and when she goes to swim in the Ilunge River, she enrages the Mother of Monsters - causing more trouble than she could ever imagine! The Abominable Snowman is a story from Nepal. Ramay lives with his mother in the Himalayas. He is lazy and never helps at home; he would rather spend his days dreaming. 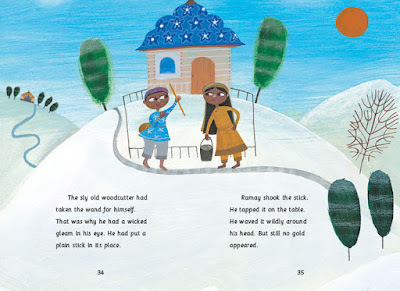 One day, his mother tells Ramay to go away and he is not to come back until he has mended his ways. What will become of Ramay as he sets out, and whom will he encounter along the way? 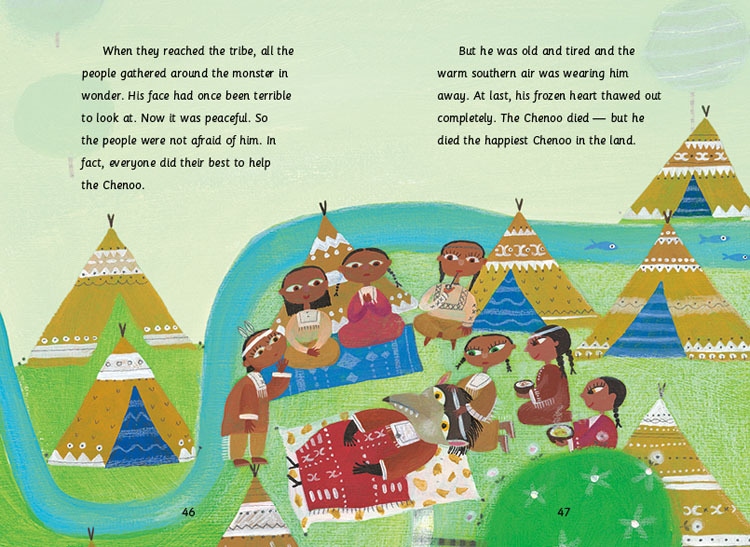 The Terrible Chenoo is a story from North America. 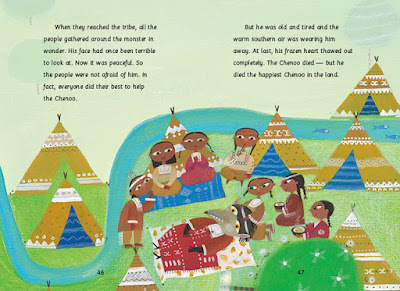 A brave woman and her husband are kind to a savage and terrible Chenoo - instead of letting themselves be scared of this man-eating monster, they feed him caribou meat, provide him with clothes and make him snug and warm in their teepee. Can they melt his frozen heart? You can buy each book separately for $7.99 or save when you buy all four books for $27.99 - and remember that you also get free shipping for orders over $60. Find more Halloween titles here if you would like to take advantage of the free shipping offer, or see what else is on sale here.